,. like it very much Mesut, recognise the street light from earlier post,. ,. best regards, art ,.,. A lovely touch of (umbrella)color in this beautifully composed image....Excellent! 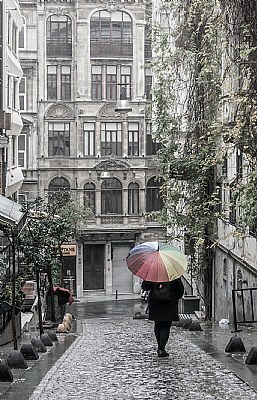 actually some districts of Istanbul is full of the buildings by french,greek ,armenian and italian architectures. mainly 19th century.